Grand Daisy Press, 9780984860852, 150pp. 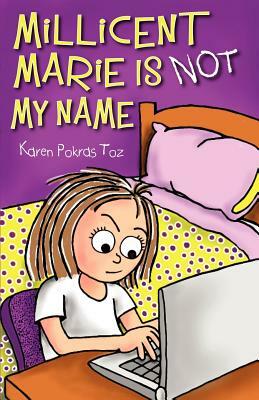 From the Award Winning Author of the Nate Rocks Books: Twelve-year-old Millicent Marie does not like her name. After all, she was named for a woman who died more than fifty years ago and was not the most loveable member of the Harris family. Her friends call her Millie, but when she writes in her diary she refers to herself as Amanda - the name she always wished she had. When Millie's younger brother finds her diary on her computer, he decides to publish it as a blog for the entire world to see, including the boy Millie has a crush on. In the midst of all the mayhem, Millie/Amanda discovers she is suddenly Springside Elementary's most sought after sixth-grade mystery gossip and advice columnist. But not all is fun and games, as Millie quickly learns, once she realizes feelings are at stake. Nobody, least of all Millie, expects things to turn out as they do in this tale of friendship and respect.